Iran Front Page – IFP has taken a look at the front pages of Iranian newspapers on Thursday, August 16, 2018, and picked headlines from 13 of them. IFP has simply translated the headlines and does not vouch for their accuracy. All papers today covered the remarks made by Iranian President Hassan Rouhani about the US’ call for dialogue with Tehran. Rouhani said the US was the one that burned the bridges for talks, and if it’s honest, it must fix those bridges. 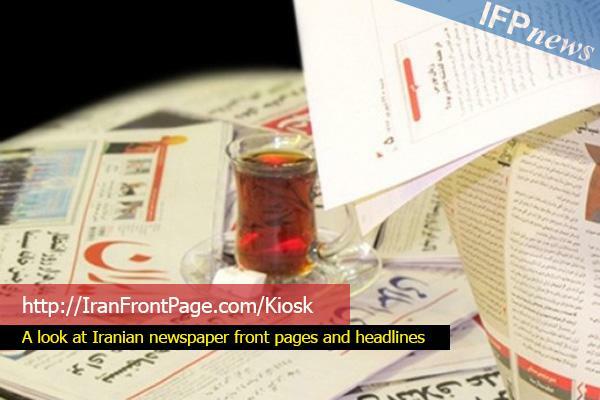 The recent convention on the Caspian Sea’s legal regime and the controversies regarding Iran’s share of the huge lake also received great coverage. A number of papers also highlighted a statement by the office of the Leader of Iran’s Islamic Revolution, in which it clarifies that Ayatollah Khamenei believes giving the green light to Iran-US direct talks was a mistake, not letting the Rouhani administration sign the nuclear deal [as reported by some]. 3- Rouhani to Trump: Why Did You Burn the Bridge?